One of the greatest benefits of Invisalign® is that no one can tell you're wearing them. They are designed to gradually realign teeth and are meant to replace traditional braces. Cosmetically, invisible retainers are more appealing because they are difficult to notice, making them particularly popular among adults who wish to straighten their teeth without the use of traditional metal braces. 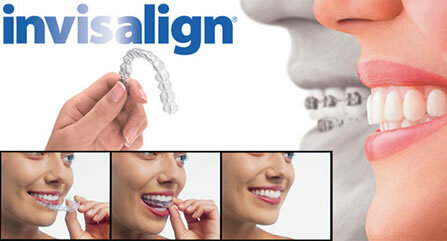 Aligners are easily removed during eating and tooth brushing. There is no more need for impressions thanks to the implementation of iTero® scanning technology which is used to create a highly accurate digital 3D image without the old fashioned method of using dental impressions.